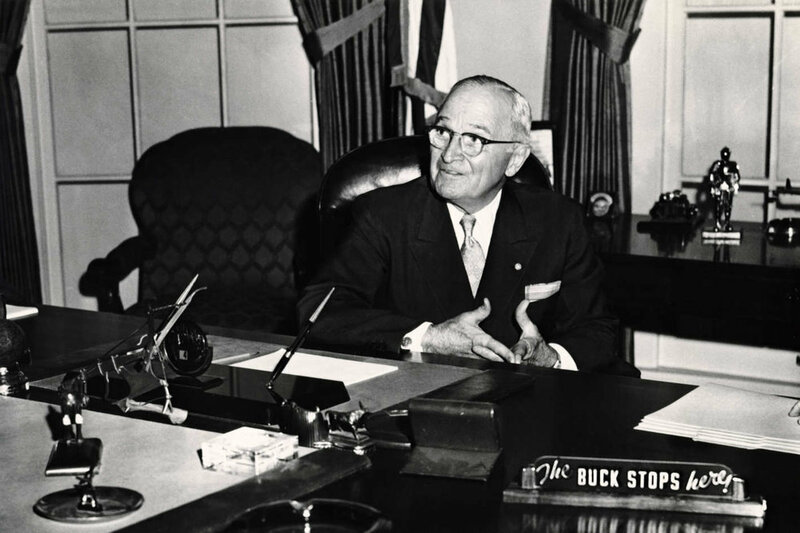 President Harry Truman famously taught the buck stops at his desk. Truman demonstrated a leaders’ strength in being held accountable. When leadership fails to take responsibility the entire enterprise is destabilized, whether in government or business or a religious organization. Leaders too often focus on controlling public reaction rather than being held accountable, which is a failure to lead. In parshat Shemini we learn of the various offerings by the priests at the tabernacle or ohel moed. One is the sin offering, slaughtering a goat and giving the meat to the Priests to eat in the sacred space. Moses is scrupulous about this instruction. When he suspects that Eleazar and Ithamar, the sons of Aaron, have failed to punctiliously observe this rule, he becomes angered. Both the handling of the offering and the space within which the offering is eaten are critical to the integrity of the atonement ritual. Moses reproves them for their failure to properly execute these priestly duties. Their father, Aaron, who is the High Priest, offers a thoughtful explanation to Moses, demonstrating his willingness to be accountable for the actions of his sons. Contrary to our expectations, religious leaders are often averse to accepting responsibility. Moreover, when leadership fails uphold canonical and civil laws, iniquities may go unaddressed: inquiries are deflected and responsibility is denied. The top prelates of the Catholic Church covered up sexual abuse and failed to execute punishment against offending clergy. Recently a leading Jewish philanthropist defended sexual solicitations by asserting it was merely be a form of teasing. A Rabbi who was the founder of a school for special needs children in New Jersey was convicted of money laundering but declared victory, as he was not convicted on theft charges. These are examples of immoral conduct combined with the refraction of responsibility. Sexual abuse, financial improprieties and improper power grabs have devastated the integrity of religious organizations. 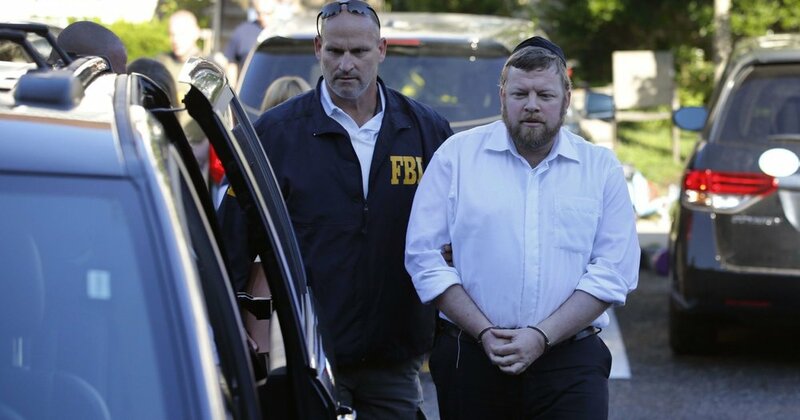 Rabbi arrested in Lakewood New Jersey. Why is it that when addressing errors made, leaders often avoid offering apologies and settle for platitudes? Perhaps legal advisors and marketing professionals discourage messages of contrition or regret. Or leaders fear that any admission of error would cause a loss of power or removal from their job. Clerics, from rectors to rabbis, often engage in “principled obstructionism” (a term coined by Bill Kristol), which deflects rather than atones. The sin offerings of today are about throwing the other guy under the bus. Judaism is steeped in a legal tradition demanding moral behavior and the acceptance of responsibility for errors. It is time to turn back to the source texts to demand leadership that exemplifies morality by accepting responsibility. Accountability by our leaders is crucial to sustaining a just and moral society. Every leader should be reminded, whether by the actions of Aaron or Harry Truman, that the buck stops with the people at the top.